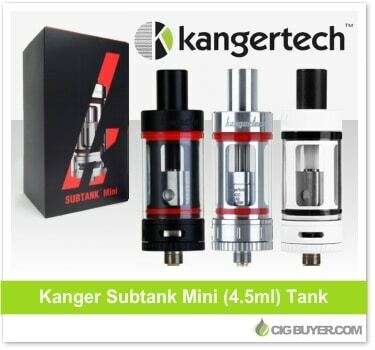 Even with the growing list of competitors, the Kanger Subtank Mini has remained one of the top selling sub-ohm tanks on the market. It’s highly flexible and performs exceptionally well; with an outstanding adjustable airflow system and a wide range replaceable heads for almost every type of vaping. The 22mm size is perfect for most setups and it provides an impressive 4.5ml of e-juice capacity. In addition, the Subtank Mini can also be rebuilt like a RBA, allowing for complete customization.